Once you have added new role the next activity is to give access rights to that role. 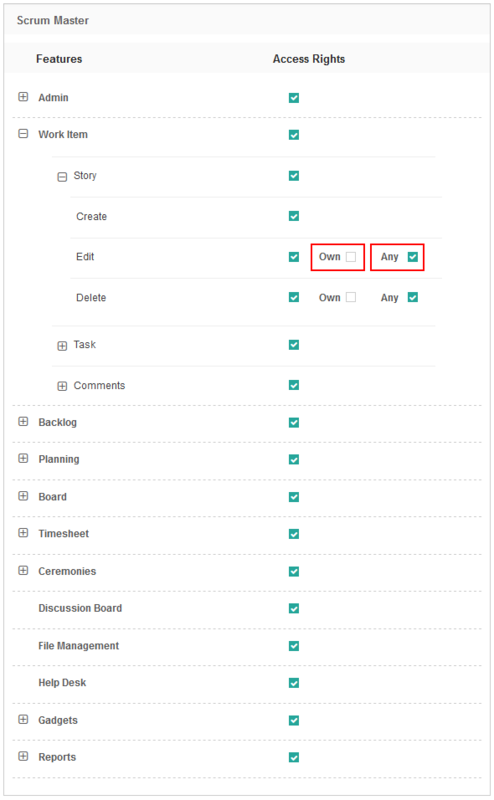 By default few features accessibility would be given upfront, if as an admin you don’t want to give accessibility of those features you can simply click on on/off toggle as shown below. 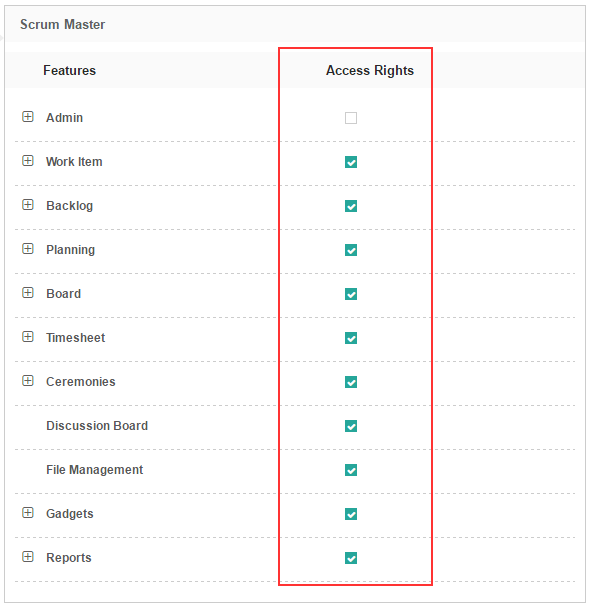 As an admin you have right to give accessibility of features you think are important for that particular role. 1. Own: If it is ticked, it manages the access rights of logged in user. 2. Any: If it is ticked, it manages the access rights of all the team members.